Andile Ramaphosa's has finally admitted that he received R2m from disgraced facilities management and security company Bosasa, now trading as Africa Global Operations. In an exclusive News24 interview, Ramaphosa Jr confirmed the payments, admitted the projects for which he was paid were never valued and expressed the obligatory regrets for "lack of oversight and due diligence". 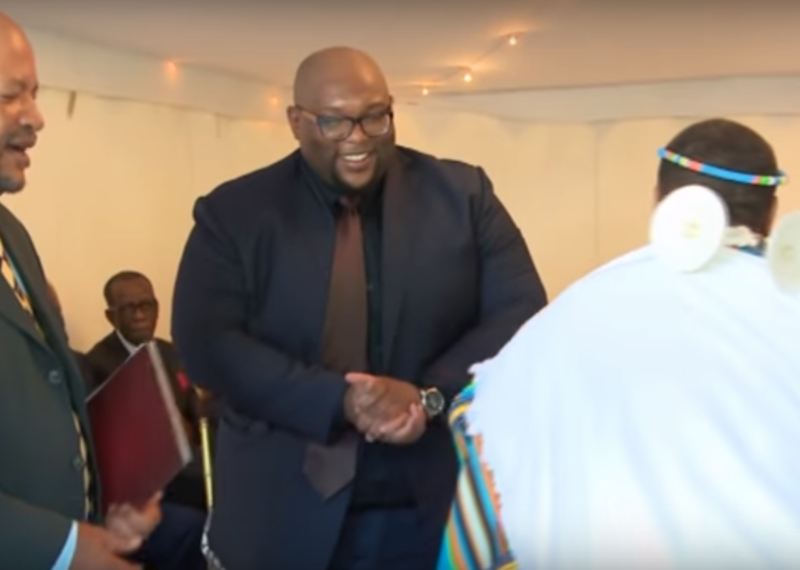 He is the president's son and his relationship with Bosasa demands greater scrutiny and criticism; criticism of Andile and the president himself, who claimed to have seen an "above board" contract. I am surprised that with everything he already knew about Bosasa, the president did not find it odd that the company would suddenly get into business with his son in February 2018, the exact month he became president and two months after winning the arduous contest to the ANC presidency in Nasrec. The timing did not pique his interest? And knowing who Bosasa was, he stood in Parliament to vouch for the legitimacy of the business deal between his son and the company? The story changed from "above board business transaction" with Ramaphosa Jr denying any payments to him whatsoever. Then it was claimed the money was for Ramaphosa Sr's presidential campaign only. Now Ramaphosa Jr is back in the mix. It is a comedy of errors, crafted with ridiculous and stupid lies. Insipid and unimaginative, really. The authors of the script should have done better and shown a modicum of respect for their intended audience. It begins in Parliament with DA leader Mmusi Maimane confidently asking President Cyril Ramaphosa to explain a transaction between his son, Andile and the disgraced Bosasa. Cyril did not have to answer that question then. No parent is expected to know intricate details of their adult children's deeds. This does not mean he should have behaved like his conniving predecessor, with his dismissive and standard answer, "ask Duduzane". Of course, any president, anywhere in the world must care and promise to investigate when there is some suspicion, accusation or even a hint of wrongdoing by their children. You can't not be bothered, especially when the allegation involves benefits that accrued by virtue of them being the president's children. Ramaphosa may have thought he was accounting, but he gave false information. If intentional, we call it a lie. If unintentional, then it was inept for one who holds such high office, where so much is at stake, to simply not take the required time to acquaint himself with the facts, before answering. All he needed to do was to say "My son is an adult. I am busy running a country whose recovery requires all my attention. I am not always aware of what my family members are up to. But since this is a grave matter that involves a company that has received billions from doing business with the government that I now lead, I will investigate this and answer to the House." End of the story. For the moment. Except, it then emerged that Bosasa donated money to the CR17 campaign. I am sure the scheming founder of Bosasa, Gavin Watson, also directed money to "the other side". Keep them all happy, just to be sure you're in the good books of the victor, for future benefits! Again, Ramaphosa cannot be expected to know the name of each donor but you would think that he and his advisors would have picked up the glaring red-flag when Bosasa's name appeared on the donations data base. Many act as if revelations about Bosasa's corruption are new. Whilst granular details are emerging from the Zondo commission of inquiry, the corruption scandals and investigations have been going on for over a decade. 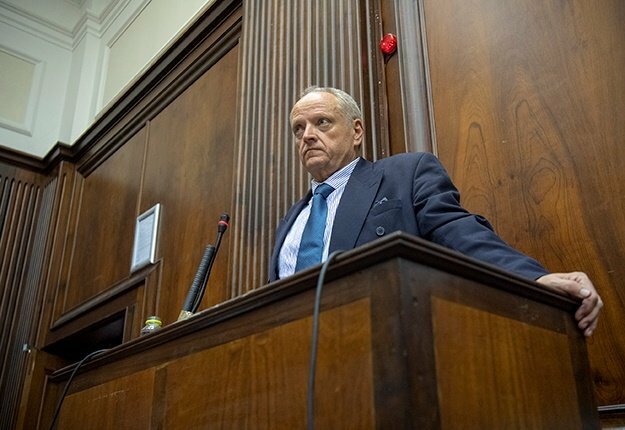 Glaring headlines, multiple revelations – many of which were investigated and reported on by the editor-in-chief of this publication, Adriaan Basson – occupied significant media space. So intense was the media scrutiny that the company changed its name, in a dubious effort to clean up its image. It did not work because corruption was and is in the company's DNA. Ramaphosa must know that and should have smelt a rat when Bosasa donated to his campaign. Furthermore, even though his son is an adult, he should have been mortified when he learnt that he was doing business with Bosasa and such business commenced when he assumed the Presidency. He claimed to have seen the contract, didn't he? We have seen this scene before. Same script, different cast. Children of presidents and premiers – mostly sons – get lucrative business overnight and their meteoric rise always, strangely, coincides with their parents' political rise. They then claim they cannot be discriminated against and excluded from opportunities because of who their parents are. I agree with this. They cannot help their surnames and they do not choose their parents. But we are not debating the basic rights of children of presidents, ministers, premiers and MECs to make a living through employment or running a business. No. At play here, is something far more insidious. It is that toxic relationship between politics and business, where an entity deliberately courts and opens doors for the children, in order to secure the powerful parent's benefaction. By providing loans, jobs, contracts and payments to the politician or his/her children, the business entity is effectively buying tenders from the state. There is another method of this nefarious practice, where politicians use their children as a front for their own financial interest. Suddenly a young man or woman, without experience and the necessary qualifications, becomes a powerful player in a sector that government has earmarked for growth. And miraculously, the company that gets the tender happens to be an "employer" or "business partner" of the offspring of the powerful politician. The superficial argument is always that "there is no law that prevents this". Or, "he has not been found guilty in a court of law". We are not one-dimensional beings. Our lives are not just governed by the law. There are ethics and morals that should adjudicate our actions in relation to what is being asked of us. By exploiting unearned opportunities, we close the door for many who have fought hard for those elusive opportunities. At a fundamental level, this unmitigated rush to the top entrenches power dynamics that are harmful to society. It is actually an abuse of position, proximity and power. Andile Ramaphosa may very well have been in business long before his father returned from the political wilderness. He very well may be an exceptional businessman. But that he was willing to receive payments for work that is not clear, that he was willing to get into business with Bosasa, that he did not pause to ask why Bosasa would be hovering around him particularly in February 2018, demonstrates that he knew his name was the ace card. He was willing to play. There is no evidence to suggest that the president is using his son as a front for his business interests. But that his heart did not stop when he saw the name on the contract is telling. The word Bosasa should have made him break out in a sweat. And, whilst it is standard practice for political campaigns to have funders, as the guy who came on a "cleaning up ticket" he should be and should have been more circumspect about where the money came from. That Ramaphosa is willing to accept campaign money from depraved sources, whose immoral deeds were known long before the Zondo commission was established, says far more than any invocation of "Thuma Mina".